Established on the 7th of July 1984 the Berry Apple Society is an independent, non-profit making organisation as defined by the law of the 1st of July 1901. 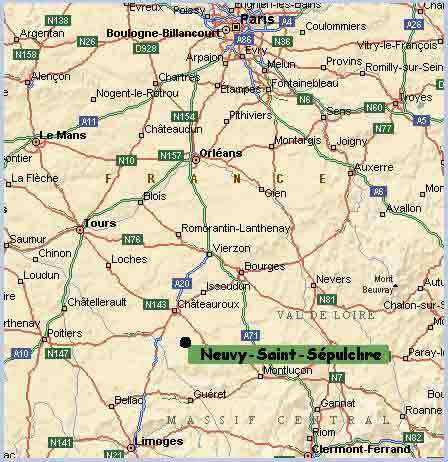 Its headquarters are situated in Neuvy-Saint-Sépulchre, in the department of Indre, at the heart of the Berry region, which lies in the centre of France. The Berry Apple Society is working to safeguard and promote local varieties of fruits. To do this it is developing four aspects of its activities. 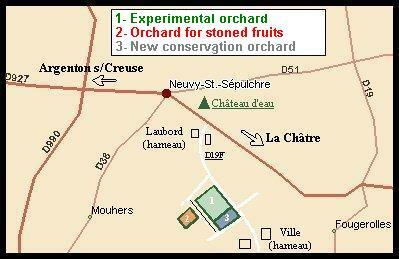 The association runs two conservation orchards , for fruits with pips and fruits with stones, in order to: save threatened varieties; observe them and improve understanding (the times of flowering and maturity, resistance to illness and parasites, etc…) and to produce wood for grafting. 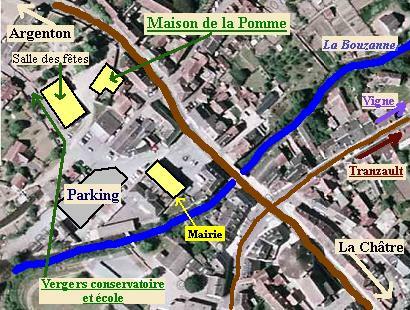 It has also created a conservation vineyard for vines found in the Berry. Situated at Tranzault it contains over a hundred varieties. In an attempt to reintroduce the ancient varieties into the orchards of amateur gardeners and to promote commercial planting of regional varieties, the society has created an experimental orchard to identify the most appropriate methods of cultivation for selected varieties of apple and pear trees. In 1987 the association opened an orchard school which organises monthly introductory sessions on the cultivation of fruit trees. The association also makes an effort to spread knowledge on ways the traditional varieties of fruits can be used ( preparing for cooking, making apple juice, drying, etc…) and to develop and encourage new uses for regional fruits in cooking, cake and pastry making, syrup making, juice, etc… Since 1990 a workshop, making pasteurised fruit juice, has been set up within the Apple Centre, in Neuvy-Saint-Sépulchre, and is available for members use by appointment.